Joni Mitchell is one of the most well-known folk singers in the music business. She’s been making music and publishing albums since the 60s and has won multiple Grammys including a lifetime achievement award. Now, some of her writings will be available to the public. 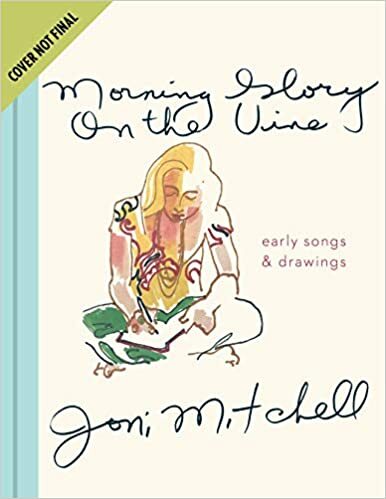 Houghton Mifflin Harcourt will publish Morning Glory On The Vine: Early Songs And Drawings in October. The book will feature handwritten lyrics and watercolor paintings from Mitchell from her early days in the music business. What’s interesting is that this is actually a re-publishing of the original book Mitchell self published in 1971. Only 100 copies were made, and all were given to her close friends. This updated version will feature new paintings as well as an introduction written by Mitchell herself. The book will feature handwritten excerpts from some of Mitchell’s most famous songs, including “Big Yellow Taxi” and “Carey”. Any Joni Mitchell fans looking to pick up a copy here?